​Um...let's just say we'll agree to ​disagree with the replay booth on this one? 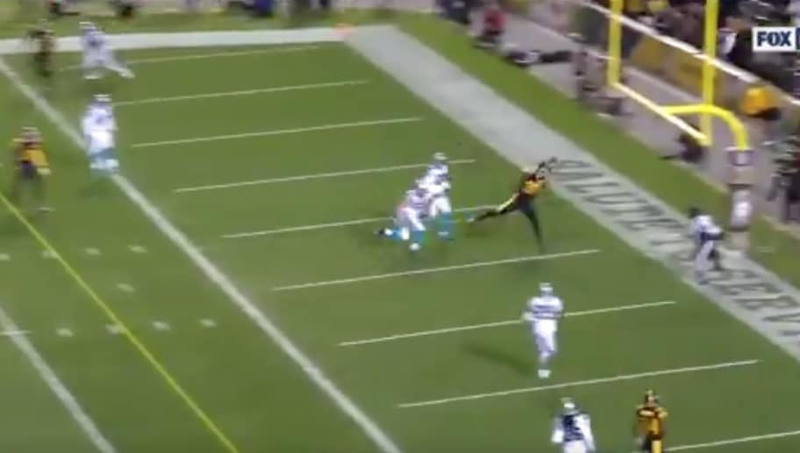 We'll go ahead and call this the ​anti-Jesse James catch, as Vance McDonald leapt in the back of the end zone, brought this one home, and maybe fumbled with it as he went out of bounds. Confirmed as a score, though, and the Steelers now lead 38-to-freaking-14. It was 7-0 early! I mean, OK! Who's staying for the end of this one, waving their Terrible Towel the whole time?